Yokozuna Hakuho has applied for a renunciation of his Mongolian nationality in a move toward acquiring Japanese citizenship, a sumo source said Wednesday. 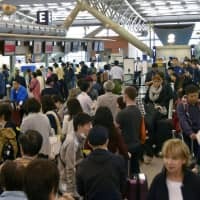 The 34-year-old, whose real name is Munkhbat Davaajargal, had previously indicated a desire to become a naturalized Japanese citizen, a requirement of all foreign wrestlers wishing to become sumo elders. 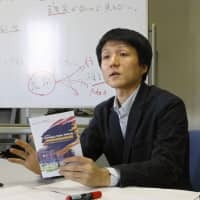 “If he doesn’t end with Mongolia, he cannot apply to Japan,” the source said. 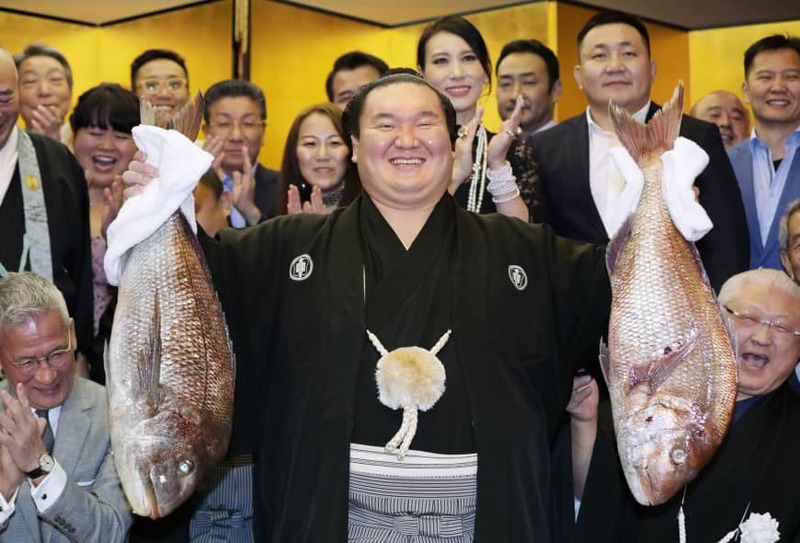 Hakuho’s request, also reported by several major Mongolian news outlets, reflects his intention to remain in the world of sumo when he eventually calls time on his storied active career, which already includes a record 42 championship titles. “Now I just have to wait for the outcome,” Hakuho said at the ongoing regional Spring tournament in Tokyo after news of his request surfaced. 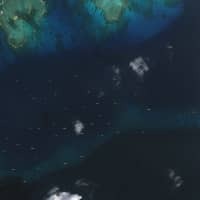 “That’s it at this point in time, it’s too early to say anything yet,” he added. 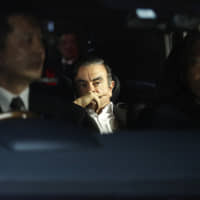 According to the Udriin Sonin, a widely circulated Mongolian newspaper, Hakuho submitted his request to the president’s office last week. Former komusubi Kyokushuzan, who was the first Mongolian sumo wrestler to reach the top makuuchi division in 1996 and helped launch Hakuho’s career, told Kyodo News he heard about the request from Hakuho himself. Sources within the sumo world have claimed for years that Hakuho has dreamed of obtaining Japanese citizenship in order to enable him to continue in the sport he cherishes after he stops competing. Hakuho’s occasional brushes with the JSA over procedure and protocol shine a light on the difficulties in strictly adhering to a different culture’s codes, and are in stark contrast to his reputation as the ultimate sportsman who often extends a hand to help up a beaten opponent. But despite the yokozuna’s historic achievements, the JSA has stood firm on its rule that requires every sumo elder be a Japanese citizen, a decision which has conflicted Hakuho because of his father’s status as a Mongolian wrestling hero. 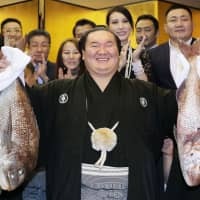 Hakuho struggled last year with injuries and the passing of his father, Jigjid Munkhbat, who had been a role model for him both in and out of the ring. His father was a top-ranked legend in Mongolian wrestling and appeared at five Olympics, winning silver in 1968 to claim Mongolia’s first Olympic medal. Hakuho has said he intends to keep wrestling until the next Summer Games in Tokyo, where his father made his Olympic debut in 1964. While sumo is not an Olympic sport, Hakuho may get a chance to take to the world stage in 2020 as Hawaiian-born yokozuna Akebono did when he performed a traditional “dohyo-iri” ring-entering ceremony at the 1998 Winter Games in Nagano. Since making his professional debut in 2001, Hakuho has redefined sumo and shattered many of the sport’s major records, including most career wins (1,120), most top-top division wins (1,026), and most undefeated championships (15). He has claimed at least one top-division championship every year since 2006, when he won his first tournament as an ozeki.